The Cleveland Browns look like a new organization as they look to return to the playoffs in the AFC in 2018. While for many this may sound like a joke, but our online sports magazine experts predict that this could be reality despite winning just one game over their last two seasons. Now that said, just think about everything they have done including last season where they put together an amazing draft class outside of deciding to draft DeShone Kizer. Fast forward to the 2018 NFL offseason the Browns continue to put themselves in the right direction, making one smart decision after another. The team elected to trade Jarvis Landry, they had the available salary to take on the huge cap hit from his franchise tag. The move also paired up Landry with Josh Gordon, who if available to play and is not suspended, might be a top five overall receiver in the NFL. The team also has a very talented speedster in Corey Coleman who would be the team’s third receiver. The team then elected to trade veteran signal caller Tyrod Taylor, to take over at quarterback before sending Kizer to the Packers for another added piece on the defensive side of the ball. All of these moves are just the beginning for a team that used to be for many, the laughing stock of the league. For the Browns, a smart draft class in 2018 headlined by taking Saquon Barkley number 1 overall, drafting the quarterback of the future and maybe landing a playmaker tight end, will not only shape up their future but could put them on the path to make a serious run at a wild card spot in the AFC in 2018. A Conference that outside of a few teams like the New England Patriots and Pittsburgh Steelers has many concerns. This includes fellow rivals the Baltimore Ravens and Cincinnati Bengals, while other divisions each have their own issues as well. This cohesiveness among the league just showed up as a last place Philadelphia Eagles team from 2016 turned around to win the Super Bowl in 2017. 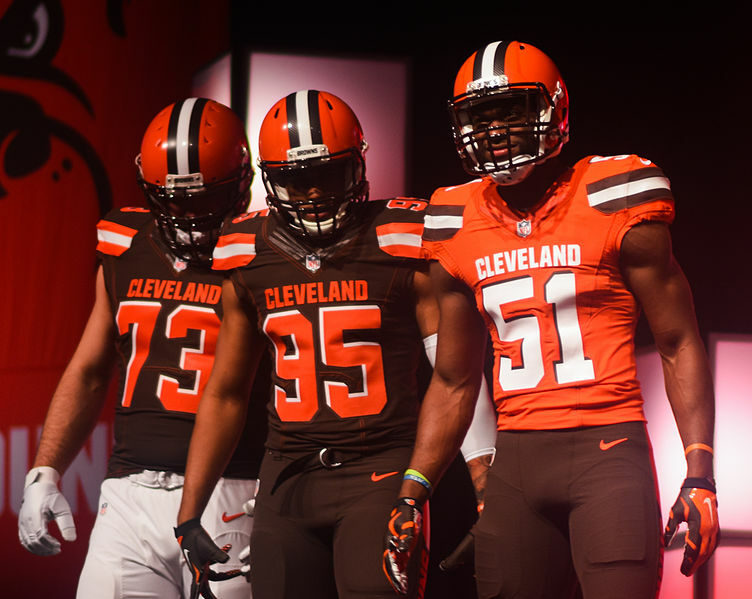 While we are not saying the Browns will win the Super Bowl, we are saying that this Browns team should be fun to watch and one that could reward everyone looking to cash in on them. Stayed tuned for more analysis, as our online sports magazine brings you the very best in sports.